Learn how to confidently dance with your partner at weddings, parties and social events in just 1.5 hours! Instead of learning complicated routines, you will learn "simple" and "natural" Ballroom dance moves that you can do at weddings, parties and other social events. Imagine dancing the night away with your partner around the room. You will be able to confidently lead and follow your partner after watching just a few minutes of our video lessons. Prepare for a night of fun! Learn the basics of 3 of the most popular Ballroom dances: Waltz, Rumba and Swing. These dances fit 95% of the songs you will hear in social dance events. You can watch our videos at anytime from any location as often as you like. Don't remember a move? No problem, you can always come back to it and watch it again when it's convenient for you. Stream online and download them. "Just exactly the info we needed. We start out watching one of your videos then practice in front of the PC. We can go back easily and re-watch our parts. When we think we have it we head to the living room and add music. Today we were dancing the rumba and my wife had a huge grin. We are proceeding at our own pace and have your great videos to help us when we have questions. It has been a great first 9 days as your customers. The Waltz is a very smooth Ballroom dance full of elegance. This dance originated in Vienna, where many balls were held. You will learn how to gracefully dance around the room with the Waltz. This passionate Ballroom dance is often described as the “dance of love”. Dancers love this dance because it’s slow rhythm allows for full expression with lots of arm styling and body movement. 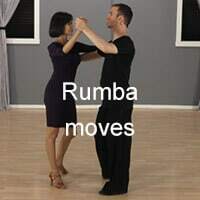 Our videos will show how to look good in the Rumba. 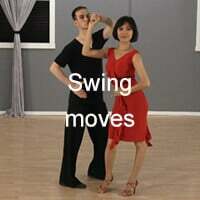 East Coast Swing was derived from the original Swing dance: The Lindy Hop. This Ballroom dance is characterized by rocks steps and triple steps. It has a lively, fun and energetic feel to it and is often danced to “rock n roll” music. After you've learned all the moves individually we also show you how to combine the moves so you can do them one after the other. You will learn 1 combination for each of the 3 dances so you can use it in your next dance event. After every single move you learn, Kim and Leon (the teachers) do a practice session with you to the music. We even included "counts to the music" so that you can make sure you dance on time with the music. We breakdown everything you need to learn in order to dance with confidence. We show you man's steps, lady's steps, give you leading and following tips, and then practice with you to the music. You will be able to execute all the moves in no time! "I just signed up for your course! After watching a few free videos, I wanted to learn more! I was having so much trouble remember steps in my private lessons. This really helps me being able to see it slowly and repeat it as many times as I need to. Thank you! "As a recent beginner, I find the practice sessions to be very helpful. You and Kim are the best dance instructors on the internet. I like the format of the video lessons. My wife and I started dance lessons in August and your site is a great supplement to our weekly lessons. Thanks for providing so much information at a very reasonable price." "I’ve just recently signed up and my partner and I are looking forward to honing and increasing our limited dance skills in the months ahead. Your teaching videos instill confidence and self belief and that is where I have been somewhat lacking. Cheers from Down Under." Learn how to dip your partner at any point in any dance. Kim and Leon will teach you how to ease into the dip easily and make it looks effortless. You will also get specific tips that will help you stay balanced. Impress your friends and make her feel special! This tutorial will give you 2 exercises that you can do at home in order to practice your leading and following. 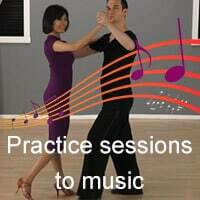 Using these simple exercises you will understand how to connect to one another so that you can dance smoothly around the floor. You can watch all the video lessons online from anywhere, at anytime 24/7. 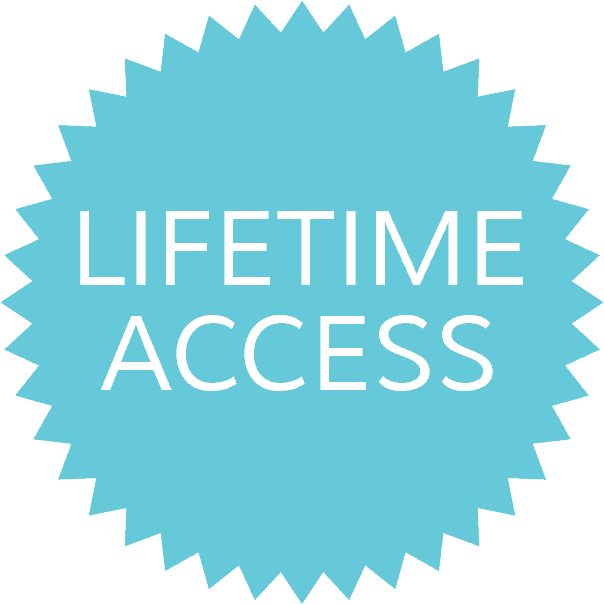 You can access these dance lessons forever! You can download all the videos to your PC, ipod or ipad and watch them offline. You can watch the videos on all the popular devices like pc, mac, ipad, iphone or ipod.